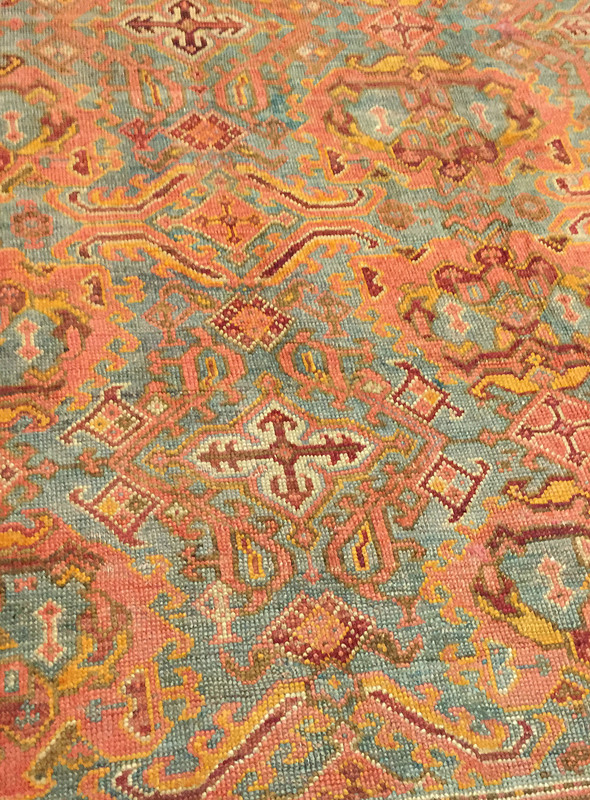 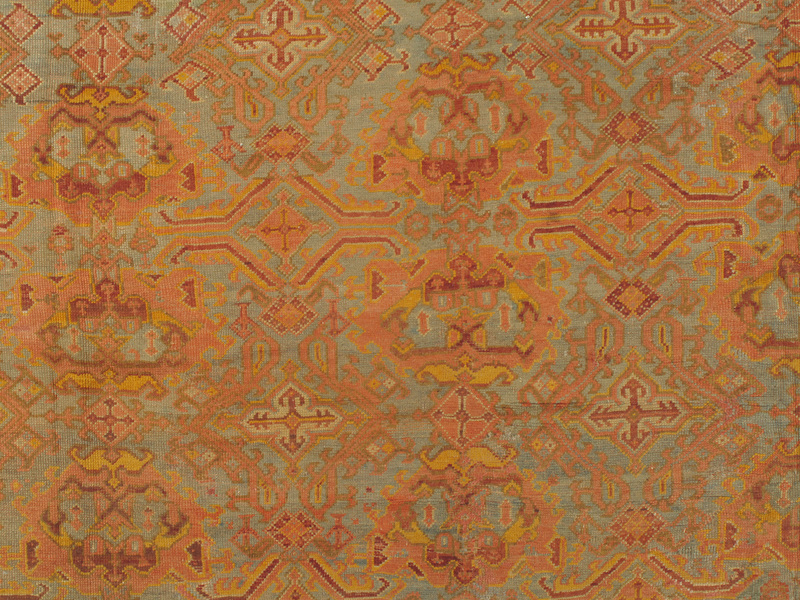 This stunningly beautiful antique Oushak from Turkey depicts dazzling botanical patterns woven in gold ivory violet and rose over a wonderful sky blue central field. 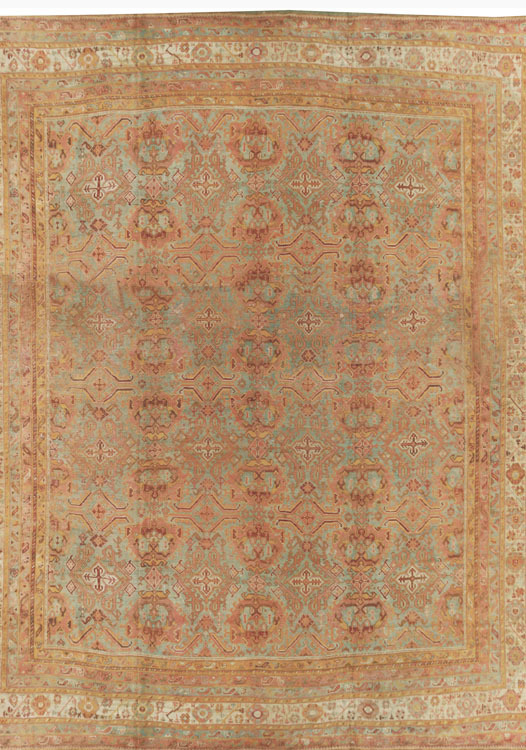 An elegant border containing rows of floral patterns in gold ivory blue and violet surrounds the central field of this magnificent rug. 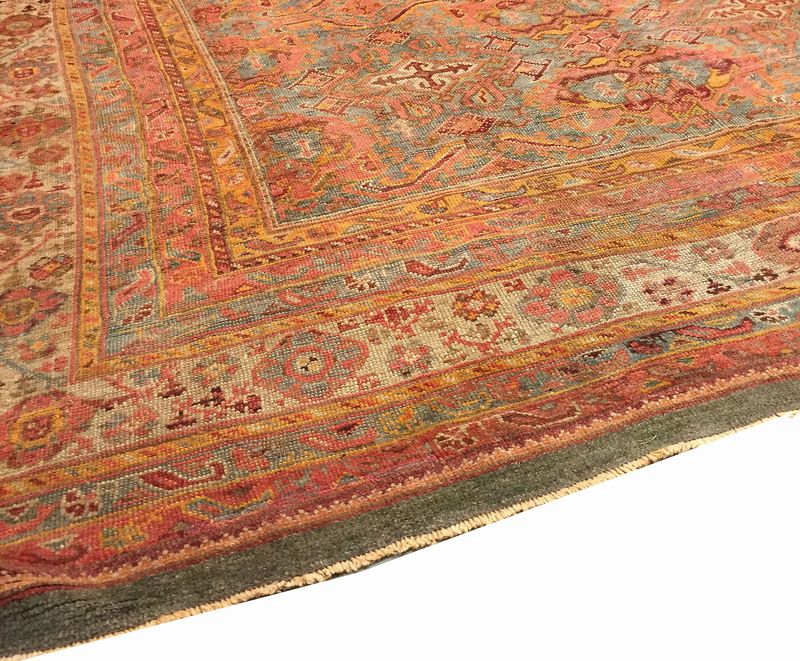 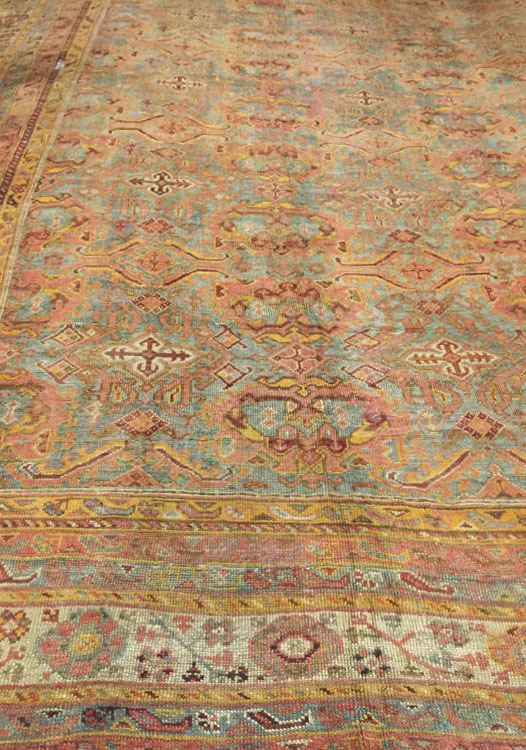 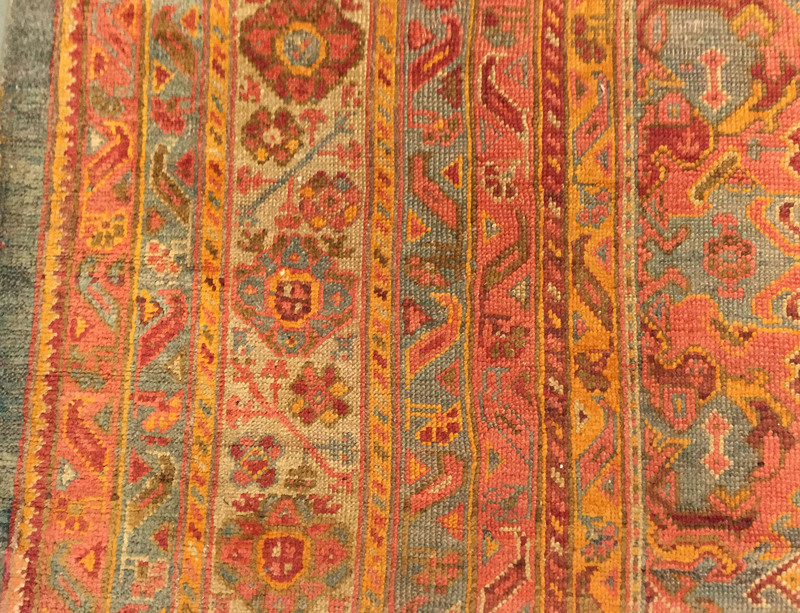 Rug is in very good condition with a low pile that adds the patina so special in antique rugs.